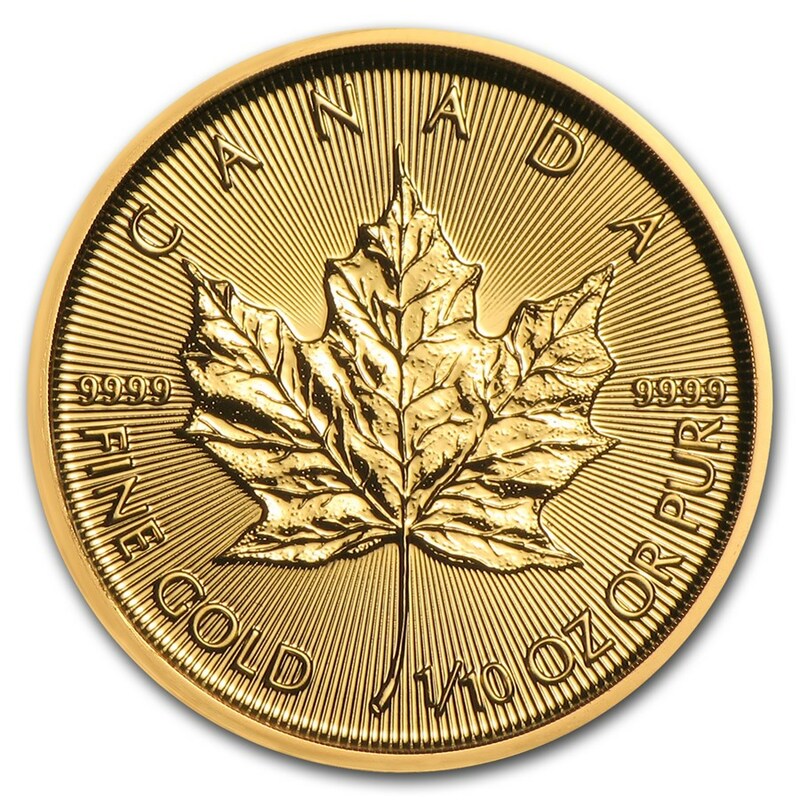 The 1/10 ounce (oz) gold Canadian Maple Leaf coin is one of the most popular gold coins in the world. It's a coin that attracts investors and collectors, making it one of the most coveted coins in the world. In 2019, this iconic coin celebrate its 40th anniversary. The 1/10 oz (3.11g) gold Canadian Maple Leaf coin made history as the first coin to be issued with a purity of gold at 0.9999. With the gold American Eagle coin, it has become one of the most purchased and most loved coins in the world. However, they are often cheaper than their American sister, which makes them much more attractive and creates a bigger market for them. Investing in gold remains to this day, one of the best ways to preserve its heritage. Indeed, the price of the gold price has steadily increased in the long term and played a levitating effect during financial crises. This is why gold remains a preferred safe haven compared to other precious metals such as silver, platinum, palladium. 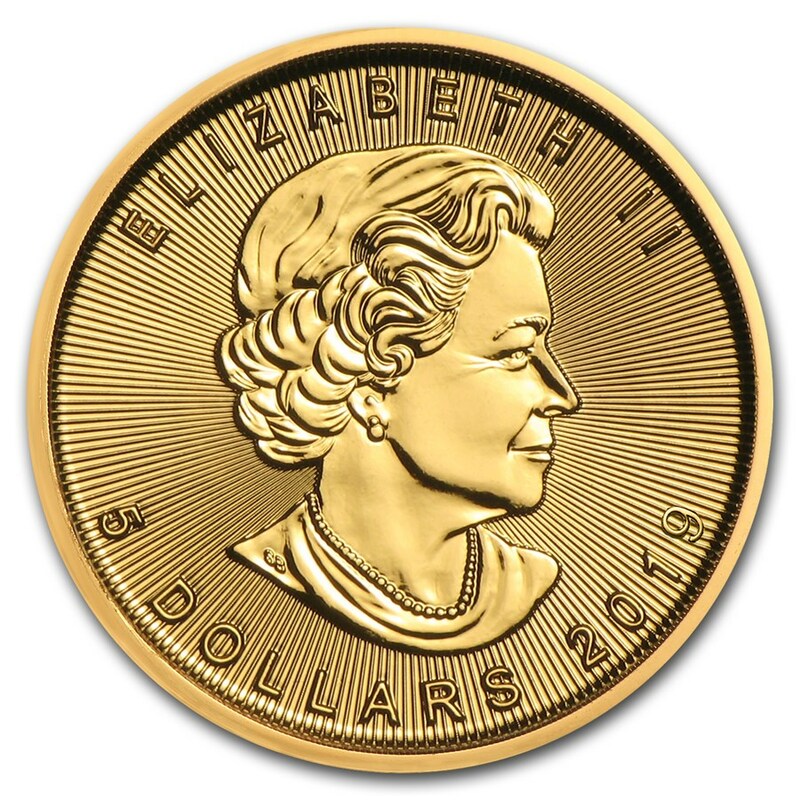 On the obverse side of the gold coin, we can see Queen Elizabeth II, without her crown on her head. This feature makes it a unique gold coin. On the reverse, you can see the Canadian maple leaf, which is considered the international symbol of Canada. This has remained consistent since the launch of the 1 oz coin in 1979. The purity of gold and the weight of the coin are also included. Protect your gold Canadian Maple Leaf coin from fingerprints by handling your coin carefully and using cotton gloves. Always keep your precious metal coin inside a clear plastic cap for added protection! This will very elegantly put the gold coin, and will also add extra value. The gold Canadian Maple Leaf coin was designed in 2003 by Susanne Blunt. This is the first and only coin to date, especially in the Commonwealth, which does not represent Queen Elizabeth II with a crown on her head. This makes it one of the most iconic coins in history. After having undergone several security checks, the gold Maple Leaf coin has additional security features to confirm their authenticity and value.